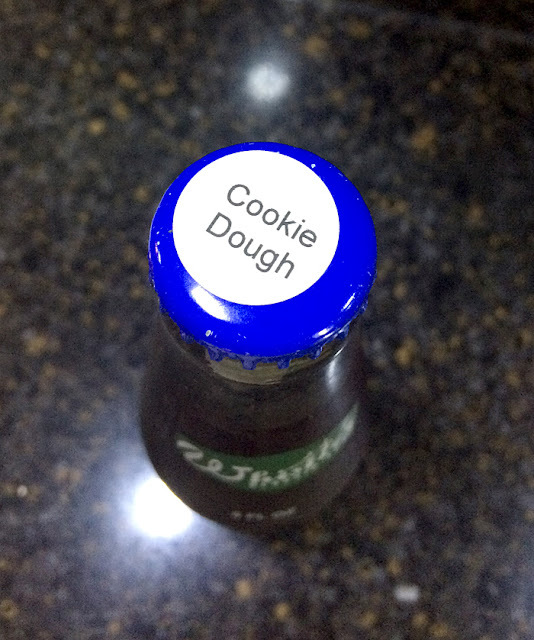 Brand: Whistler Cookie Dough Soda. as I'm grading final projects right now as I drink this. After I took my first sip, I found an added-on English sticker on the back. It said it was "Natural Cherry Soda" of Germany. 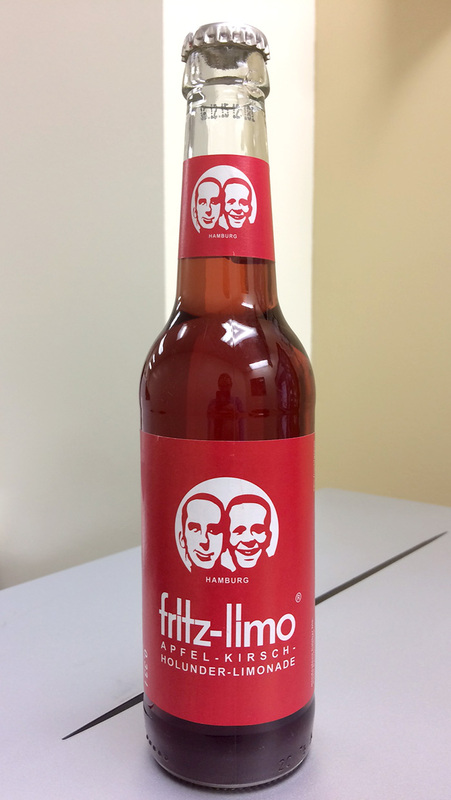 On their website, they called it "fritz-limo apple, cherry and elderberry." It had a lot of apple juice and a little sour cherry juice (both listed before sugar), and then a bit of elderberry juice as well. They appear to sort of be marketing it as a juice drink, and not as a soda. 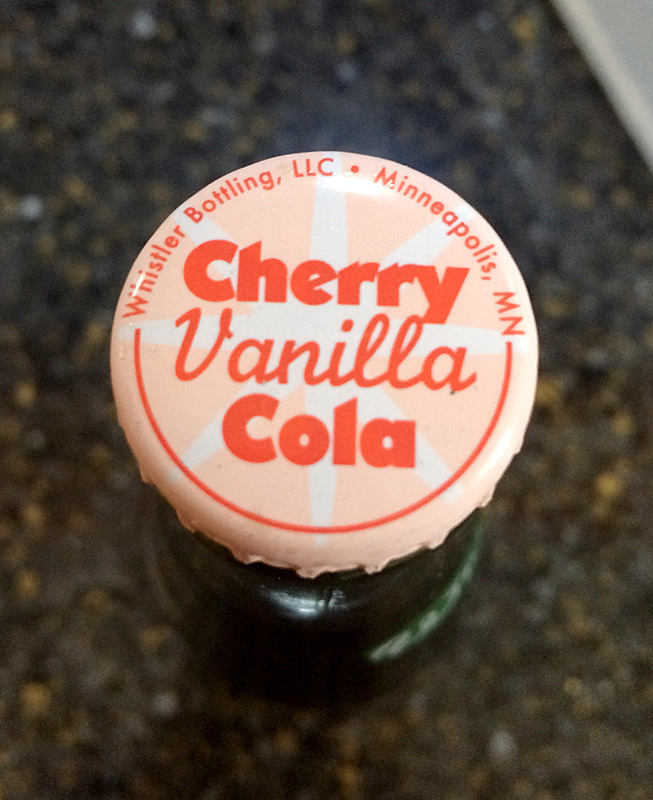 Review: It was not "cherry" at all. It was very much like chilled, carbonated hot apple cider that makes me think of Christmas. It wasn't bad - it just wasn't what I expected in a "cherry" soda. I really thought about it as I sipped it, and I could NOT taste ANY cherry flavor. It was all apple to me. It had a bit of a bite at the end of each sip that wasn't super desirable, but overall, it was pretty good. Sweet, but not too sweet. I'll give it an average score. 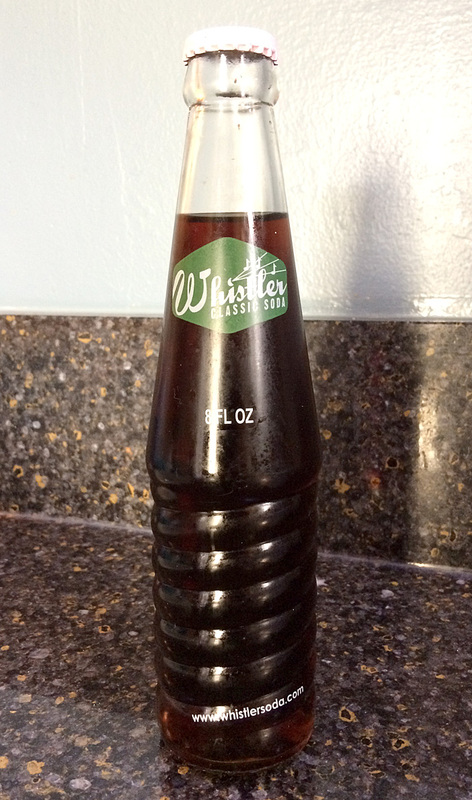 Brand: Whistler Cherry Vanilla Cola. Review: I thought this sounded weird. So I was ready for weird. But it was actually pretty good. 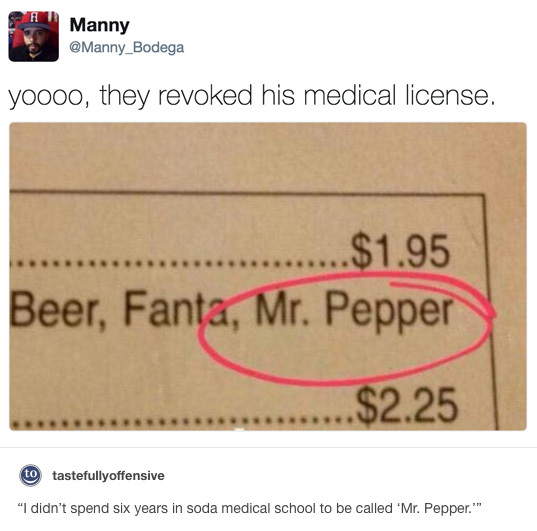 It's a very smooth cola with a nice vanilla undertone. The cherry is a BIT fake-tasting, but it's not bad. In the end, this went down pretty easy. I picked these up over 3 years ago as seen in this post! My wife was about to throw it away because I was eating them very slowly, but I'm not a huge "hard candy" guy. But then she tried one and was NOT going to throw them away. They are good! When I first started to write this, they had 21 ratings on Amazon, and 17 are a full 5 stars. (There were two 4 star, a 3 star, and a 1 star rating, but the 1 star rating is someone saying they LOVE them, so I don't think they know how to work the "star system.") Now there are many more reviews, so I think they're catching on! Brand: Claeys Root Beer Old Fashioned Hard Candies. Sweetener: Sugar and Corn Syrup. 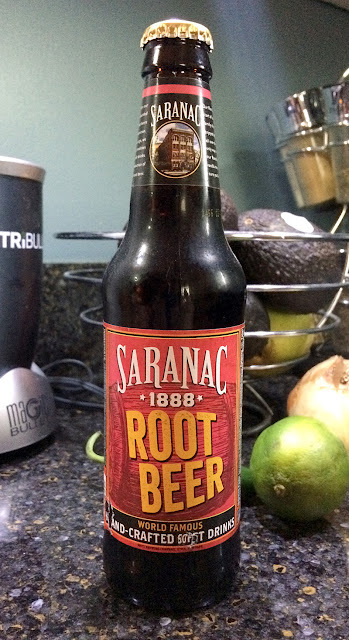 Review: These have a very "true" Root Beer flavor. 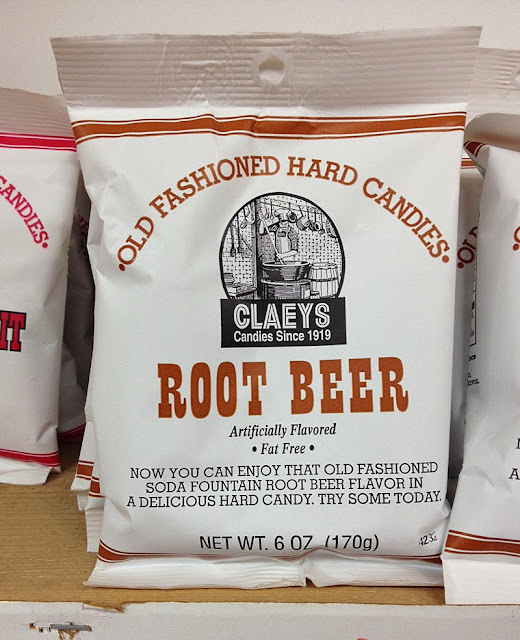 They taste like a better "adult" version of the root beer barrels we all had at parades as kids. I don't often rate candies here, but if I were to give this a score like I do sodas, I'd have to say it was a better-than-average 8.
Review: This tasted pretty "classic," which is a good thing. Quite smooth with no bite. There was a fair amount of a caramel aftertaste which I wasn't a huge fan of, but it was still quite good. I'll rank it a bit above average.